Shipping companies report only a fraction of the actual cases for fear of their ships being impounded for long periods or because they simply do not want to pay the resultant higher insurance premiums. The last developments off the coast of the Horn of Africa, have triggered a veritable media frenzy. Clearly, piracy is not a new phenomenon. However, the frequency and scale of recent acts of piracy are a real cause for concern, especially those off the coast of Somalia, currently the most perilous waters in the world. A few years ago pirates attacked ships to get at the petty cash on board or to make off with the ship’s cargo. Today, hijacking is the new trend. Hijacking is actually a lot easier because you don’t have to unload the cargo at sea, and it is also much more lucrative. The ransom demands have increased tenfold in recent years. In the case of the Sirius Star, the hijackers are said to have demanded an eight-figure sum. The current events are causing growing concerns. Even if piracy only accounts for a very small portion of marine insurance business, the potential perils are enormous. When a ship is attacked, the hijackers frequently just lock the crew in the hold and leave them to their fate. If the “rudderless” ship then collides with a tanker, we are talking about losses of enormous proportions. The losses attributable to piracy primarily affect marine hull, marine cargo, and protection & indemnity (P&I) insurance. Losses may also be indemnified under loss-of-hire (LoH) insurance. Today, special kidnap and ransom covers are also offered to ship owners. The coverage concepts on the different insurance markets may be largely the same in principle, but there are significant variations by country and type of policy regarding the definition of insured perils and in the structure of the terms and conditions. The risk of piracy is frequently listed under special war and strike clauses that also include the terrorism risk, i.e. the piracy risk is generally insured in one way or another. The safe transportation of goods across water is a vital economic factor in these days of increasing globalisation, with 90% of all goods worldwide transported by ship. But it is not just the large trading vessels that are the victims of piracy. Private yachts have also become targets. Lack of government control allows piracy to carry on unchecked. Piracy usually occurs in areas without effective government control or where corruption is rife. 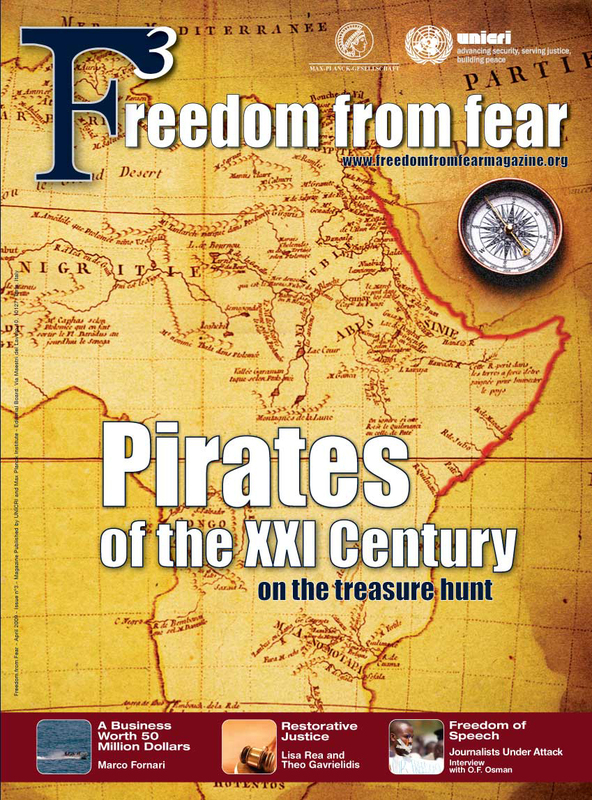 There are estimated to be over a thousand pirates operating off the Somali coast In 2005, there were only 300. There is a very important reason for the rise in numbers: foreign fishing fleets using state-of-the-art methods have pretty much exhausted the fish stocks upon which the locals rely as their main source of income. Keeping statistical records of piracy is very difficult. Shipping companies report only a fraction of the actual cases for fear of their ships being impounded for long periods or because they simply do not want to pay the resultant higher insurance premiums. Reliable figures on the economic losses involved are therefore very hard to come by. The International Maritime Bureau (IMB) puts losses from piracy in 2007 alone at some € 13billion. There are a variety of measures to recommend in order to protect against acts of piracy. For example, there are special sprays that make the deck so slippery that attackers just cannot keep their footing. Another option are sonic blasters, which emit a deafening sound. This alone can sometimes be enough to send the pirates packing. Some ships also have so-called “panic rooms” where the crew can ensconce themselves in the event of a pirate attack. Preventive measures and effective pursuit of the pirates by governments and authorities will only be possible once a clear legal basis is in place. There is clearly an urgent need for action in this respect. The success in combating piracy in the Malacca Strait is testimony to the effectiveness of close cooperation between the coastal states, their police forces and the armed services.